Create freestanding workspace or combine with Valencia Series components. 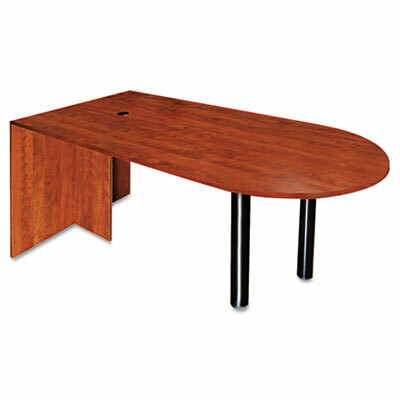 Combine with a return/bridge to create a "L" format desk. Add a credenza to complete a full "U" workstation. D-Top worksurface is ideal for in-person conferencing. Two-leg base allows for freestanding use. Can be combined with a return/bridge or a credenza for various configurations. Rich woodgrain laminate finish is scratch and water resistant.